Today we went to Disneyland as a family. How fun! As you know we have an annual pass so we go quite often, but rarely does my wife get to join us. One ride the little guy has loved since we first started going to Disneyland is the “it’s a small world” ride. 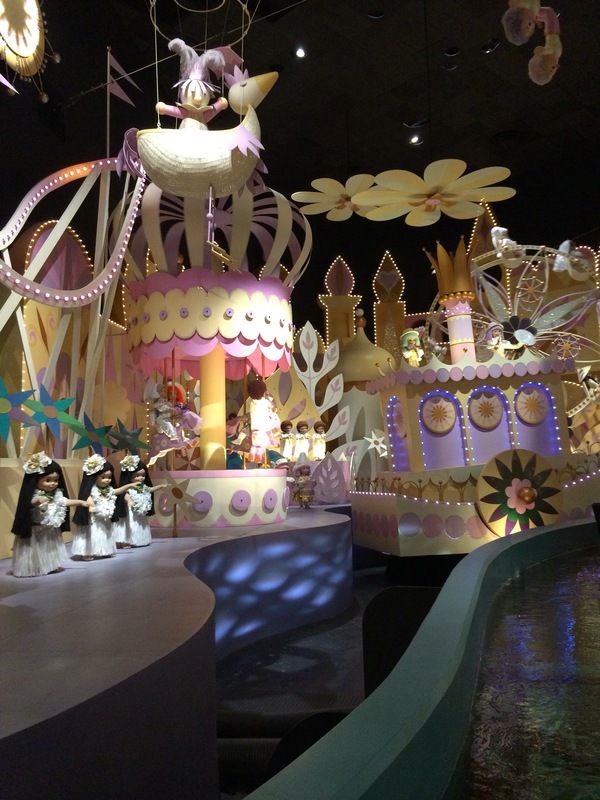 This is basically a ride where you sit on a boat that takes you through the world, while a bunch of toddler-sized robotic humans dressed in regional clothing sing the “it’s a small world” song in their own language. The little guy (and every other child I have been on the ride with) loves this ride. There is something that used to be hypnotizing when he was younger, probably the repeating music. But now he is pointing out things, gets excited to see certain characters, tells us what things are (in his own language), and he waves to say hello and goodbye. If you find yourself at Disneyland with a toddler who is maybe starting to get a little tired or cranky, I would recommend this ride as a way to boost their energy at least temporarily. It’s a crazy ride for us adults, but imagine how fantastic it is thru the eyes of a toddler!